Great amenities and perfect location! Great apres ski spot with easy access to the shuttle! 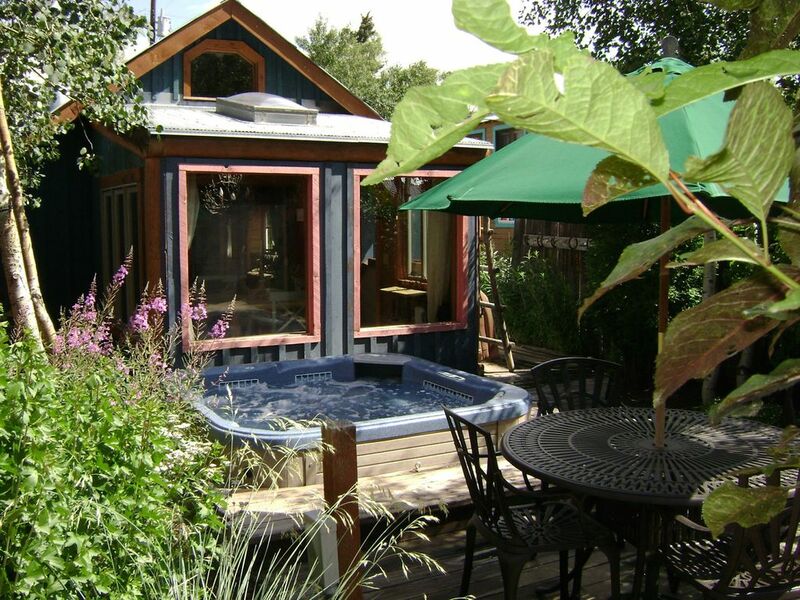 Lovely, intimate spot in the heart of Crested Butte! This little cabin has it all in the heart of Crested Butte. It has all of the amenities, is clean, and close to the free bus route and down town. And the hot tub location can’t be beat! I would highly recommend this spot, and look forward to renting it again in the summer. Thank you Tony and Alice for your quick responsiveness to our questions! Great place! We had great weekend in a terrific part of Crested Butte! We were right in town and within walking distance of endless shops and restaurants. Very cozy, had everything we needed! Exceeded expectations. Fantastic location. Wonderful communication. We will be back! Tony's "Miner's Cabin" is a perfect place to stay for a few relaxing days in CB. Only a couple blocks from all of the bars and restaurants. Equipped with everything you need to make your stay comfortable. We loved out trip and can't wait to come back in the future! Close to everything. Very nice! Going next year and will book same place if available!